Boruto Chapter 31 HQ scans are here and the Official Boruto Chapter 31 is going to be released tomorrow – January 27, 2019. You can read the official chapter on Viz official website. Well, luckily, we have some of the panels translated by OrganicDinosaur which confirms all the major spoilers we saw just a few days back. This latest Boruto English Chapter 31 is going to be amazing. I recommend you guys to read this whole thing right now! Boruto Chapter 31 starts in this way – In the starting, we have Delta standing in front of Naruto & everyone else. They are glaring at each other. 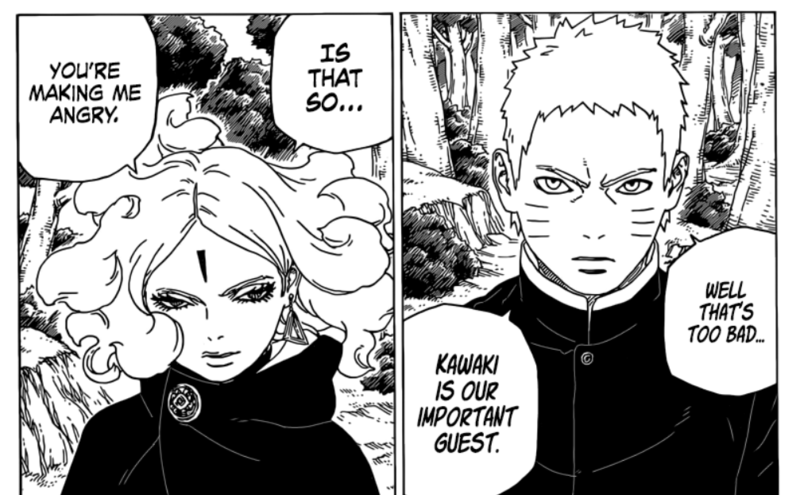 Naruto asks Kawaki if she’s from Kara and he confirms that she’s one of the ‘Inners’. Delta acknowledges Naruto and tells him that it’s an honor to meet him. Naruto is quite famous. She asks Naruto to step aside as she has business with Kawaki and not the Leaf village. Things are getting interesting! Kawaki warns Naruto about Delta as all the Inners are complete monsters. 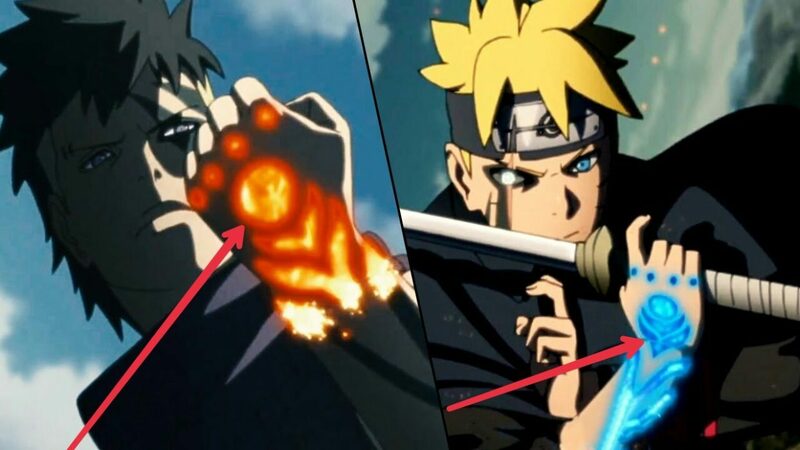 Boruto immediately notices that this is the real deal as Kawaki’s attitude has completely changed. Naruto, obviously refuses Delta’s proposal as Kawaki is the guest of the Leaf Village. As Delta is short-tempered, she drops the act and tells Naruto that she will kill him right now. Naruto asks Boruto to take care of Himawari and tells Kawaki to stay vigilant.